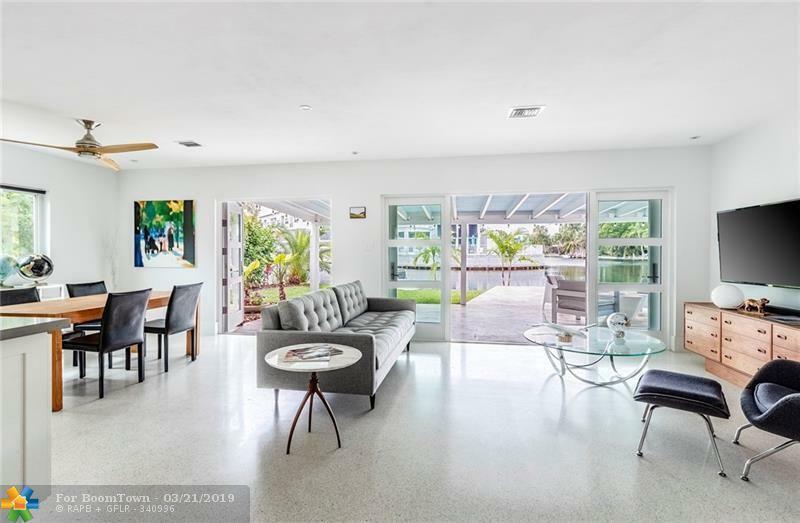 If you like Mid-Century Modern design, you must see this 3-bed / 3-bath, waterfront pool home designed by Lester Avery! 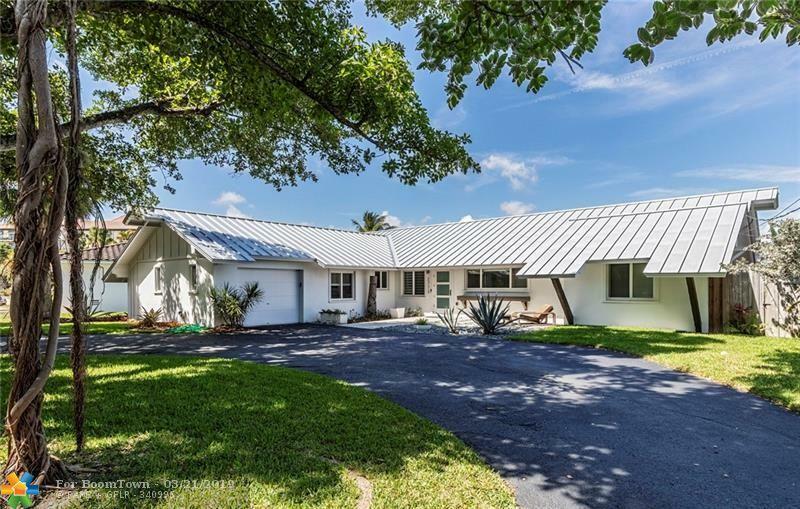 The L-shaped ranch sits back from the street behind a 1-car garage and circular driveway on an oversized lot just a few blocks from central Wilton Manors. 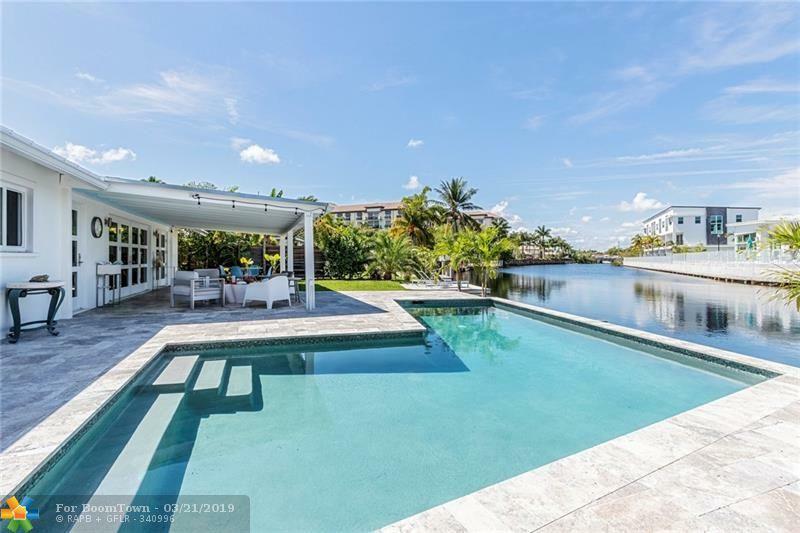 It is not until you step inside and experience the breathtaking, long-water views that you realize how special this home is. With vanishing-edge pool, covered patio, and all the modern luxuries youd expect, every day will feel like a vacation in this gorgeous home. 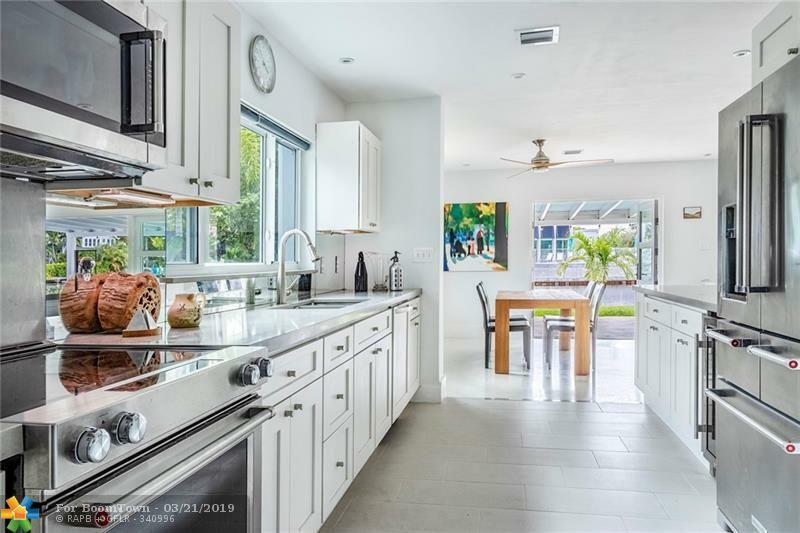 Completely restored in 2016 with no expense spared, you'll love the terrazzo floors, open floor plan, modern kitchen with stainless appliances and quartz countertops, oversized master suite with views galore, and 2 spare beds/baths perfect for entertaining. This listing is courtesy of Castelli Real Estate Services.